U.S. President Barack Obama has said the United States is not “at war” with Islam, but with people who distort the religion. 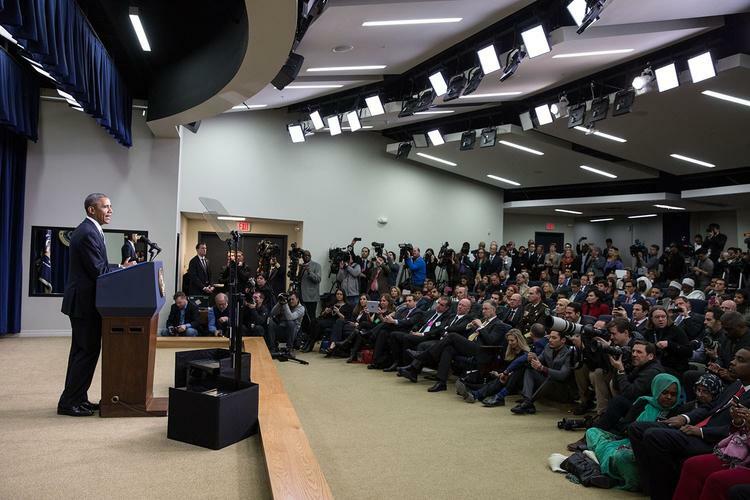 Some have criticized the White House for avoiding connecting extremism to the religion of Islam following shootings by Islamic militants in Paris and Copenhagen. Obama said that the religious leaders of the Islamic State group are not “religious leaders” but “terrorists.” Throughout his speech, Obama separated IS from Islam. Former U.S. President George W. Bush had also said repeatedly that the United States was not at war with Islam. Obama said young Muslims are particularly susceptible to extremist propaganda, which can lead them to join IS in Syria or carry out attacks domestically. In congressional testimony last week, U.S. intelligence officials said as many as 150 Americans have attempted to travel to Syria to fight with the Islamic militants. The Washington conference drew delegates from 60 countries in the wake of a string of brutal attacks in Europe and the Middle East.